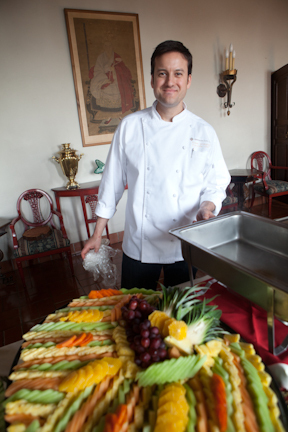 On this Thanksgiving Eve, a few Team Members are sharing what they are most grateful for about the Berkeley City Club. 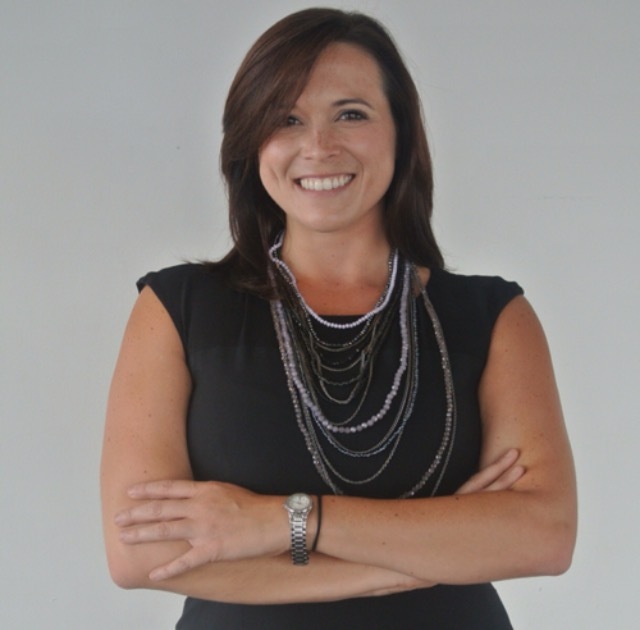 Most of you have virtually met Sarah Williams before, our Sales and Events Manager, who is thankful for awesome (hardworking, diligent, respectful, funny) co-workers, excited clients, Thursday & Friday doughnut days and warm lunches. 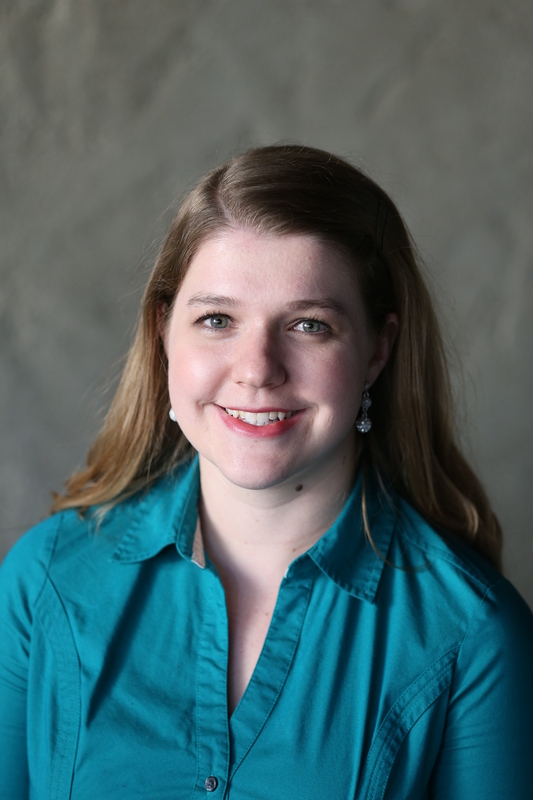 Next up is Melissa Guillory, our Executive Administrator, and go to for managing many behind the scenes tasks and projects. She is said to always bring a ray of sunshine when the Team is in need of support and is seen below on the left supporting the Events Team this year at Caltopia. 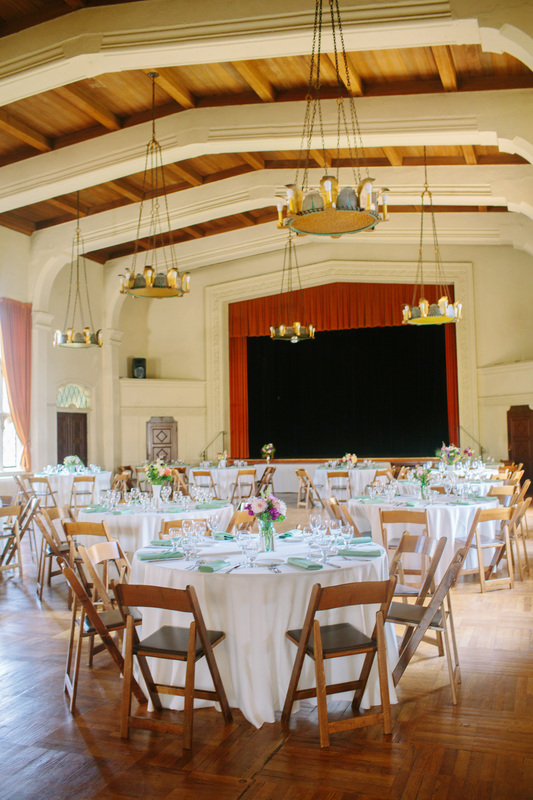 Melissa is most thankful for the beautiful space the Berkeley City Club is, a great group of co-workers that give her an unexpected laugh and is blessed to call the BCC her employer. Madison August is a new addition to our Events Team and such a star in her role. Always armed with a smile and fresh ideas, Madison is a joy to have our our Team. She is pictured below, showcasing her creativity on our gorgeous Julia’s sign. She shares that she is thankful for I’m thankful for a fun position that allows her to express my creativity. She is grateful to work in such a positive space and with supportive co-workers on a daily basis. In closing, from Mary McGarry, a Front Desk Team Member. 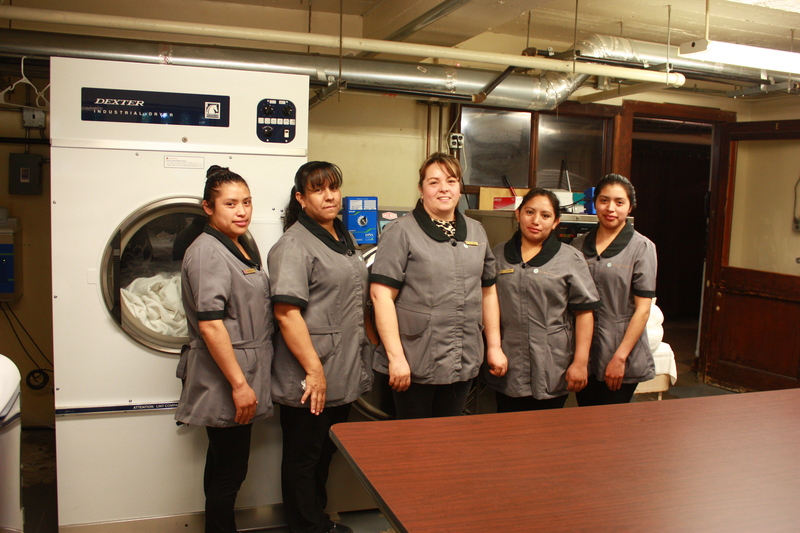 She is a true asset and support to her co-workers and all patrons of the Club. She assists everyone with grace, confidence and ease. 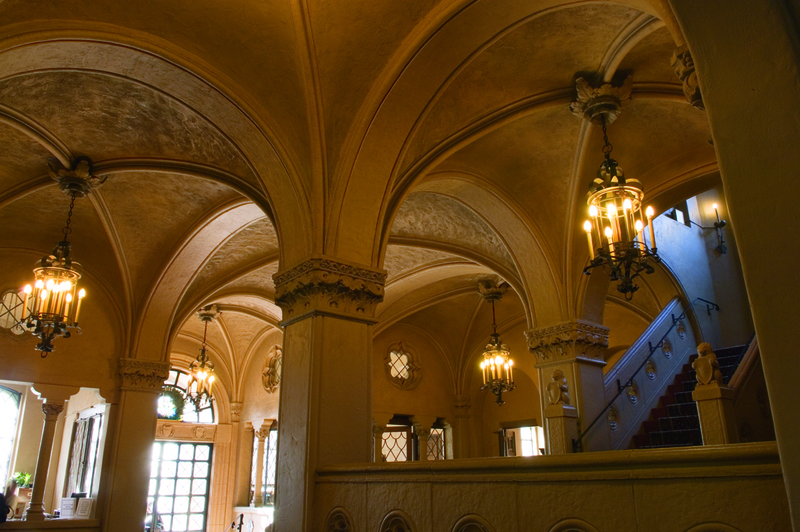 Mary shares that she is truly grateful for our beautiful Julia Morgan building. From our Team to you, Happy Thanksgiving! 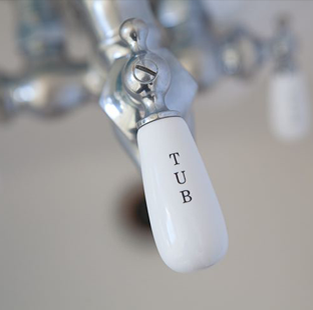 Welcome to the second part of our series in water conservation. Next up, Landscaping. 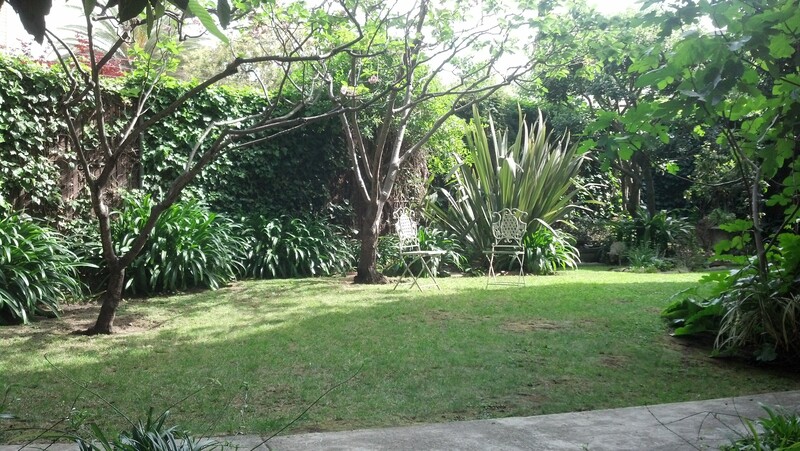 We have beautiful grounds and Courtyards to enjoy. 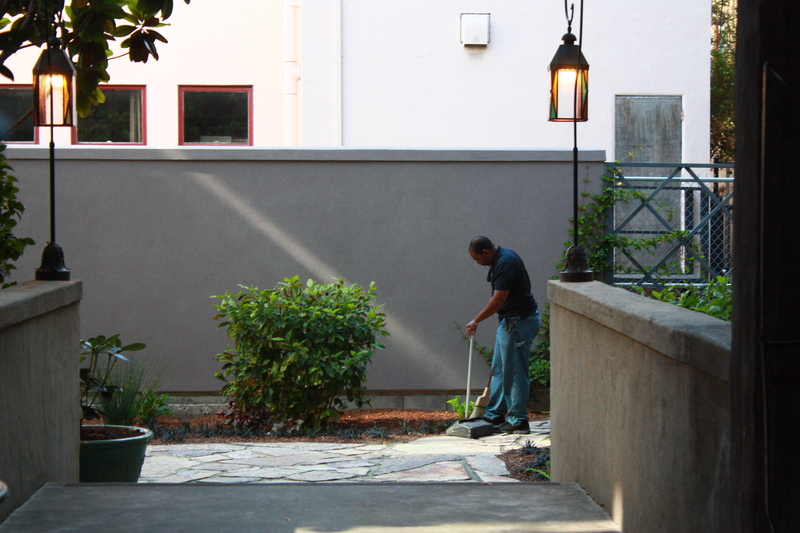 Our talented Gardener, Darnell, putting his beautiful touches on the West Courtyard. Since many of our plants are mature with deep roots they can handle receiving less water. Thick layers of mulch have been added to the gardens, to hold in moisture, and use less water. Where possible, some plants have been fitted with their own drip irrigation at the base so that no water is wasted. The length and frequency of watering has been reduced as well. 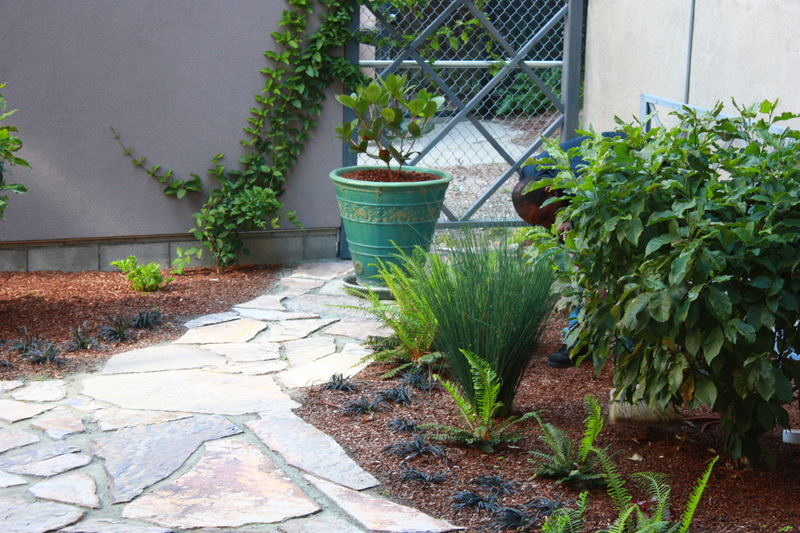 We also take advantage of many shady areas, thus allowing us to water less. 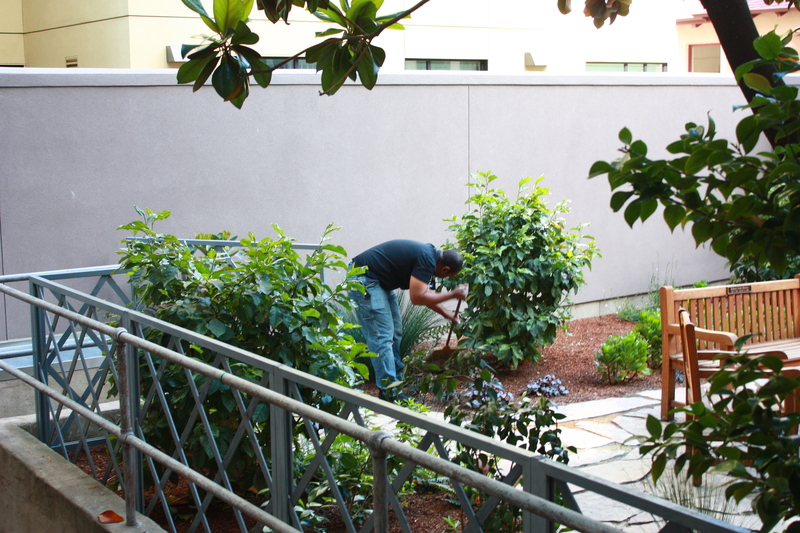 We hope you enjoyed peeking at our Courtyards and hearing about what we are doing to conserve water. Do you have any ideas to share with us to possibly use in our Courtyards & Gardens?